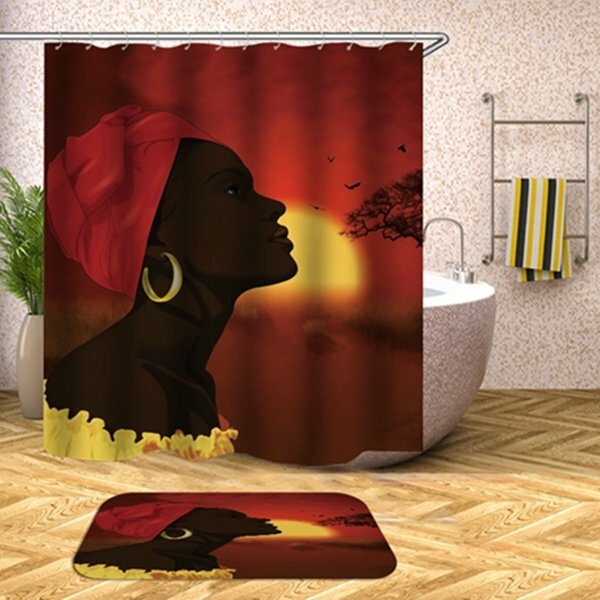 Waterproof Shower Curtain with Matching Memory Foam mat is based on original Black art and will uniquely brighten your bath. The shower curtain is made of highly constructed 100% polyester fabric that is water resistant,easy cleaning and the shower ring placement openings are reinforced to maintain strength and shape. The shower curtain is beautiful and easy to maintain.You can use different colored towels with this printed multi-colored shower curtain to personalize and update your look.Transform your bathroom easily by adding this quality product.